The practice of forensic psychiatry and psychology, like the rest of medicine, is as much art as it is science. At the end of the day, the job of the forensic expert is to be able to communicate complex and at times abstract information in plain, non jargonized language. The authors, including Dr. Levy, a psychoanalyst, has always placed a premium on narrative, i.e. storytelling, as one of the most effective means of communicating information to attorneys and juries during testimony. Forensic psychiatrists and psychologists are mental health professional who have undergone addition training and have obtained advanced credentials in forensic psychiatry and psychology from their respective professional certifying boards. Their practice, like the practice of law, is divided into broad criminal and civil areas. In the criminal arena, forensic psychiatric and psychological experts are usually asked to opine about questions of capacity and sometimes, during sentencing, on mitigation. In the civil arena, forensic practice is more broad, covering, like your Bar Association does, many individual sections of legal practice, from probate to personal injury to family to employment law. Invariably, in civil litigation, forensic psychiatrists and psychologists are asked to offer opinions on causation and damages. We recognize that the truthfulness of plaintiffs and witnesses is an ultimate question to be decided by the fact finder. Nevertheless, a forensic psychiatrist and psychologist can be helpful in educating the fact finder about issues that bear directly upon questions of truthfulness. Modern medicine is evidence-based and so too is modern forensic psychiatry. It is no longer enough for an expert to simply rely upon his authority and say, in effect, "I have been in practice for 30 plus years and have earned this and that degree and credential and honor, therefore what I say is true, is true because I say so." Today, an expert must be prepared to answer the underlying question, "Upon what objective clinical evidence, Doctor, do you base your opinions and conclusions?" The gold bullion standard of evidence based opinion for forensic psychiatric and psychological experts is the ballistics expert who can say with reasonable "ballistic certainty" that a particular shell was fired from a particular gun�or it wasn�t. Of course, arriving at such a definite conclusion is more difficult in the behavioral sciences. However, with careful assessment of all available evidence, doing so is not only possible � it is probable. The evidence that a forensic psychiatrist sifts through consists of medical, psychiatric and psychological records from periods of time both prior to, during and after the period of time when the incident or circumstance that was alleged to have emotionally and/or neurocognitively damaged the plaintiff occurred. These records can be both difficult to obtain and extensive � but once obtained and reviewed they are usually highly revelatory. Sometimes it is also helpful to obtain childhood medical records, even when evaluating adult plaintiffs. These records may help answer the question of whether this particular plaintiff is a person, who as a result of earlier emotional trauma, was particularly fragile when the event in dispute purportedly caused him or her to be damaged; or in contrast, whether the plaintiff is a highly resilient individual? Alternatively, the plaintiff may have a chronic mental condition (like the neurological disorder, Multiple Sclerosis) with its own waxing and waning natural course that is relatively independent of external events. If so, it is likely that such a condition would have produced emotional symptoms following the disputed events, whether or not the incident was actually damaging or had even occurred? With regard to causation, the forensic expert must always be on guard to not fall into the trap described so artfully more than 200 years ago by a great physician and man of letters, Samuel Johnson: "It is � physicians, I am afraid, beyond all other men, [who] mistake subsequence for consequence." In other words, just because B follows A does not mean that A caused B. In addition to reviewing medical (and sometimes military, employment and academic) records as well as legal documents such as the Complaint and deposition transcripts, the forensic psychiatric evaluator examines the plaintiff himself, usually for several hours, inquiring about his personal, developmental, social, family, marital, medical, drug, educational, employment, academic and legal histories. This interview takes a long time because it takes a long time to hear someone�s life story; there are no shortcuts to extracting this kind of essential narrative. However, after reviewing all of the documents and carefully interviewing the examinee and inquiring in great detail into his or her life story as well his version of the events pertinent to his Complaint, the forensic psychiatrist (like any other medical specialist) refers the examinee for testing that is carefully administered, scored and interpreted by an experienced forensic psychologist and/or neuropsychologist - a highly trained subspecialist. Correctly interpreted test data independently confirms (and occasionally contradicts) the forensic evaluator�s differential diagnosis (i.e., working hypotheses). The power of psychological testing often exceeds that of even a detailed, careful clinical interview by a sophisticated clinician who is assessing validity, exaggeration and malingering. After all, even the best of us can sometimes be fooled � in either direction! For example, we have evaluated plaintiffs whose upbringing and cultural values caused them to inhibit the expression of their suffering and present themselves as though everything in their emotional life was fine � when it wasn�t. In these instances, the careful administration and interpretation of a battery of psychological tests revealed that beneath the plaintiffs� calm exteriors of understated and/or denied distress, there lurked immense emotional suffering and severe turmoil that profoundly affected the person�s daily functioning interfering with their ability to work and to love, and sometimes even their ability to think! A competent psychologist has to try to sort these issues out. How much is the underlying personality structure affecting the symptom presentation? How much (or little) of a brain injury has really occurred? In civil litigation the administration of reliable and valid "self-report" personality tests such as the Minnesota Multiphasic Personality Inventory � 2 (MMPI-2) and/or Personality Assessment Inventory (PAI) and the Rorschach Inkblot Test (Rorschach) is the best way to find out what is going on. Testing is in fact an attempt to answer a "membership" question: to which group of independently diagnosed individuals in the data base does the examinee belong, based upon his pattern of test responses? The results from the MMPI-2 and PAI usually bear a great resemblance to what a person has to say. Problems may arise, however, whenever a person "protests too much." In such circumstances, the tests may be said to be "invalid". Invalid test results from the MMPI-2 or PAI are a set of statistical findings which indicate that the nature and extent of the person�s self-report is significantly beyond what might reasonably be expected. This may not necessarily mean that they are malingering, but there is usually a discernible pattern of exaggeration. In turn, it is the responsibility of the psychologist to determine if there is a legitimate correlation between the endorsements on the test and the actual symptoms of the patient. They must examine the history, the medical records and the clinical presentation in conjunction with the test results and determine if there is a correlation or not. In addition, whenever there is a concern about potential exaggeration and/or the influence of pre-existing problems, the administration of the Rorschach will often help clarify the uncertainty. The Rorschach has been found to be as reliable and valid as any of the personality tests that are routinely used, according to a "white paper" published by The Society for Personality Assessment. That means it is a tool designed to assess the nature and extent of one�s emotional distress or lack thereof, as well as to provide insight into the underlying cause of one�s problems. It is also the only reliable and valid personality assessment tool which has very little influence due to bias. In other words, it is very difficult for someone to understand how their responses on the Rorschach might correlate to different types of emotional distress. Hence, the Rorschach is very valuable as a means to cross-validate the results from the MMPI-2 and PAI. At times it may serve as a type of informal "lie detector test" to further evaluate the consistency of the patient�s complaints of distress, or lack thereof. Brain Injury complaints add additional complexity to the forensic assessment process. The same issues of reliability and validity must be addressed, but from a neuropsychological perspective. Are the nature and extent of the patient�s complaints reliable and valid? Are the nature and extent of the patient�s complaints consistent with expected outcomes from similar types of injuries? Are there concerns that the patient is "protesting too much"? Do their complaints exceed what might be reasonable under the circumstances? Neuropsychology has developed a special means to assess the presence or absence of reliable and valid brain injury and related cognitive dysfunction. The process is known as Symptom Validity Testing. As with the personality testing, it is statistically based. It is a function of assessing the reasonableness of someone�s cognitive complaints. As with the personality testing, it examines the probability that the patient is "protesting too much" � or is not. Symptom validity tests such as the Test of Memory Malingering (TOMM) and the Word Memory Test (WMT) have been demonstrated to be reliable and valid measures of assessing the reasonableness of the correlation between one�s performance on neuro-cognitive testing and their subjective complaints. Some of the symptom validity tests operate on the statistical principle that the further a person�s performance deviates from pure chance, the more likely it is to be invalid. In other cases it is a matter of performance that is so poor that it is worse than what might be expected if the person�s injuries were in fact much more severe. For example, whenever a person maintains the ability to reasonably manage the everyday aspects of their lives (regardless of their complaints), but performs worse on testing than someone who is significantly demented and requires institutionalized care, there is reason to conclude that such results may not be reliable and valid. At the very least they will probably suggest exaggeration? If there is an overall pattern of such findings, it is usually evidence of conscious malingering. Thus, the task of separating truthful responses to forensic psychiatric and psychological assessment from exaggerated or understated or malingered ones is at times a challenging assignment. However, by carefully reviewing all of the documentary evidence, examining the plaintiff in considerable detail and having him or her tested by a skilled forensic psychologist the expert can usual reach a conclusion about the veracity of the plaintiff�s complaints with reasonable medical (or psychological) probability. Mark I. Levy, M.D., D.F.A.P.A., is Medical Director of Forensic Psychiatric Associates Medical Corporation (www.fpamed.com), a boutique forensic psychiatric and psychological consulting practice.. He has been practicing psychiatry for 35 years, is Board Certified by the American Board of Psychiatry and Neurology in Psychiatry with Added Qualifications in Forensic Psychiatry. He is an Assistant Clinical Professor of Psychiatry at UCSF where he teaches psychiatrists in the Law and Psychiatry Fellowship. He has given numerous CLE presentations to members of the San Francisco Bar Association and numerous other legal organizations. He is a Distinguished Fellow of the American Psychiatric Association. 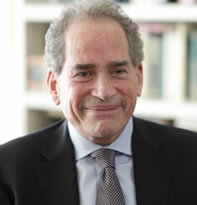 Dr. Levy can be reached via telephone at 415 388 8040 or via e-mail at mlevy@fpamed.com or mark@levymd.com. See Dr. Mark Levy's Profile on Experts.com. Dr. Ronald H. Roberts Ph.D., ABPP is a trained Neuropsychologist and Forensic Psychologist. He has been working in the field of psychology for 36 years. He completed a post-doctoral Fellowship in Neuropsychology at the V.A. Medical Center in San Francisco in 1983. He has been licensed as a psychologist since 1984. Since that time he has performed over 3,000 forensic examinations. He was awarded the Diplomate in Forensic Psychology by the American Board of Professional Psychology and the American College of Law and Psychology in 1994. Dr. Roberts can be reached via telephone at 415 776 2000 or via e-mail at rroberts@fpamed.com or rrobertsphd@pacbell.net.